Mary Fitzpatrick expresses concerns over the potential impact of MetroLink tunnel boring station on the residents, schools and clubs on Mobhi Road, Glasnevin on newstalk. You can Listen to it here. Mary Fitzpatrick joins Donie to discuss the Simon Community report which states people are locked out of the property market and 90% increases in rent since 2010. Listen here. Mary is a founding member of Cabra’s Youth Diversion Programme, “Step Up”. Mary is campaigning to save the service from closure. The Journal.ie highlighted how communities will suffer if Government does not listen to campaigners like Mary and rethink their proposals to change how Youth Diversion Programmes are funded. Read more here. Mary objected to plans to build on the unmarked grave of more than 3,000 men, women and infant paupers in St Pauls Cemetery, Glasnevin. Read more HERE. Mary called for the sale of former Magdalene Laundry on Sean McDermott Street to be rejected. Read full Statement HERE. Coverage on Dublin Live HERE. Mary supports residents whose homes and vehicles in Cabra and Phibsborough should have been protected from flooding as covered by the Northside People. The media all but shut Mary out during the 2016 General Election campaign so it was appreciated when Niall O’Connor from the Independent took the opportunity to make some amends at the count, click here to watch. With just one week to go to polling day Mary Minihan joined Mary for a canvass in Cabra, Click here to read how she got on. Mary selected to contest next General Election in Dublin Central. Click here. Mary renews her call for Minister Donohoe to refund €19million to Dubliners. Click here. Metro North Levy should be suspended and €millions refunded. Click here. Metro North Levy should be scrapped. Click here. The Northside People, 17th March 2014. Are Gender Quotas the way forward? RTE.ie, 03/02/2014: Listen to Sean O’Rourke and pundits discuss Mary’s prospects in the upcoming European elections HERE. Dublin City Council, 27/01/2014: Mary argues for radical action to address the severe housing crisis in Dublin. Irish Independent, 27/1/2014: Read reaction to Mary’s winning of the race to be Fiánna Fáil’s candidate in the capital for the European elections HERE and an earlier articleHERE. Read how Mary won the contest to be Fiánna Fáil’s candidate for the European elections HERE. Irish Times, 9/1/2014: Mary Hanafin confirms she will be supporting Mary in the contest to be Fiánna Fáil’s candidate in the capital for the European elections. Click HERE for the full article. Herald.ie, 6/1/2014: Mary focusses on the future for her campaign to be selected FF’s candidate in the European elections. Click HERE for more. Irish Times, 4/1/2014: Dublin councillors nominate Mary to contest the FF’s Dublin’s MEP convention . Click HERE for the full article. Irish Independent, 3/1/2014: Mary considers candidacy for Dublin’s MEP elections. ClickHERE for the full article. Sean O’Rourke interviews Mary on the subject of Irish Water HERE. Mary escalates issues with the transfer of services to Irish Water, including how the Council will be forced to hand over €2 billion worth of assets and be left with €330 million worth of pension liabilities. Full article HERE. Mary reacts Minister Hogan’s u-turn preventing local authorities from keeping 80% of the local property tax in their areas. Full article HERE. TheJournal.ie, 04/11/2013: Mary calls on Minister Hogan & Executives from Irish Water to outline plans for a new water source and other infrastructure improvements required to secure the water supply in Dublin City. Full article HERE. Morning Ireland, 31/10/2013: Click HERE to hear Mary request priority be given to providing a proper water supply to Dublin, before charges are applied. Mary discusses local reaction to a shooting in which four people were injured outside a Dublin pub. Click HERE for more. Mary highlights how Greyhound pricing structure disincentives homeowners from recycling. Click HERE for more. Irish Independent, 17/7/2013: Mary woo’s Molly Malone across the Liffey. Click HERE for the full story. TheJournal.ie, 24/04/2013: Mary welcomes support from across Dublin City Council to remove the unfair ban on charity shops on Grafton Street. Full articleHERE. TheJournal.ie, 24/04/2013: Mary reacts to the news that Dublin City Council is having to collect thousands of dumped bags every day at a cost of ‘between €250- and €300,000 per year’ to dispose of it. Click HERE for more. Sunday Independent, 21/04/13: Mary explains why Minister Hogan’s plans for so called local government reform make no sense. Click the HERE for more. Irish Examiner, 09/04/13: Mary calls for Environment Minister Phil Hogan to attend next meeting of Dublin City Council to clarify confusion over when water charges will be introduced. Click the HERE for more. 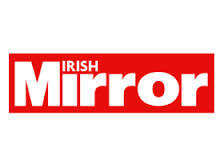 Today FM, 05/04/2013: Mary talks with Matt Copper about public order concerns at upcoming concerts held at Phoenix Park. Click HERE for more. Dublin People, 01/04/2013: Mary calls on Minister to continue funding for Cabra For Youth. Click HERE for more. Mary calls for no funding reduction or disruption of emergency ambulance services in Dublin. Click HERE for more. Mary asks the City Manager to explain a €90 million Incinerator overspend at February Meeting of Dublin City Council. Mary is interviewed on RTE News regarding the postponed loyalist march in Dublin city. Dublin City Council, 03/12/12: Mary re-iterates her opposition to the governments new property tax at Dublin City Council. See also www.wrongtaxwrongtime.ie. Dublin City Council, 03/12/12: Mary welcomes the new bye laws for Smithfield horse fare and calls on Dublin City Council to promote and manage horse fair as a family friendly city attraction. Dublin City Council, 03/12/12: Click the screen below to see Mary for the 5th (fifth) time a motion to suspend the Metro North Development Contribution Scheme that compels property owners along the previously proposed Metro North route to pay €1000’s in additional levies for a project that is not going ahead. This time Mary’s request to the City Manager for legal opinion on the matter is deferred. Dublin City Council, 12/11/2012: Click the screen below to see Mary repeat for the 4th time a motion to suspend the Metro North Development Contribution Scheme that compels property owners along the previously proposed Metro North route to pay €1000’s in additional levies for a project that is not going ahead. See also the response to the motion from the City Manager and the Lord Mayor. Dublin City Council, 1/10/2012: Click the screen below to see Mary repeat for the 3rd time a motion to suspend the Metro North Development Contribution Scheme that compels property owners along the previously proposed Metro North route to pay €1000’s in additional levies for a project that is not going ahead. Dublin City Council, 10/09/2012: Click the screen below to see Mary’s motion to suspend the Metro North Development Contribution Scheme that compels property owners along the previously proposed Metro North route to pay €1000’s in additional levies for a project that is not going ahead. Dublin City Council, 3/09/2012: Click the screen below to see Mary welcome the public consultation on the future of Smithfield Horse Fair and raise issues which must be addressed. Dublin City Council, 3/09/2012: Click the screen below to see Mary raise issues with DCC’s strategy regarding outdoor advertising in Dublin with particular emphasis on the impact in her constituency and the Navan Road. Morning Ireland, 7/9/2012: Click HERE to hear Mary update RTE on what is being done to ensure there is no recurrence of the violence at the Phoenix Park concert. Morning Ireland, 3/8/2012: Click HERE to hear Mary speak on RTE regarding the recent violence at the Phoenix Park concert. Click HERE to read the matter reported on www.thejournal.ie. RTE 9pm News, 30/6/2012: Click the screen below to see Mary speak to RTE News on the issues concerning the transfer of Dublin City Waste services to Greyhound. Dublin City Council, 25/6/2012: Click the screen to see Mary make the case for a publicly elected Lord Mayor of Dublin. Irish Independent, 5/3/2012: Click HERE for an opinion on Fianna Fail’s prospects for renewal. Saturday with Charlie Bird, RTE Radio 1, 3/3/2012: Click HERE for Charlie Bird’s interview of Michael Martin at the RDS and subsequent panel discussion including Mary. RTE Six-One News, 15/2/2012: Click the screen to see Mary speak to RTE News on the issues concerning the transfer of Dublin City waste services to Greyhound in Jan 2012. Herald, 7/2/2012: Click HERE as Mary explains concerns that Ireland’s water system will fall foul to a public quango. Dublin City Council, 6/2/2012: Click the screen to see Mary propose free water allowance for all households and no charges before meters are installed in every house. Morning Ireland, 24/1/2012: Click HERE to hear Mary speak on RTE regarding the unfolding Waste Management issues. Irish Mail On Sunday, 9/1/2011, Businesswoman Mary Fitzpatrick finally tells the inside story….